Both orthopedic surgeons and neurosurgeons perform spinal surgeries. According to Spine Universe, an emerging field of spine surgery is incorporating both specialist physicians, although there currently is no medical governing body for which spine surgeons are board certified. Orthopedic spine surgeons are certified by the American Board of Orthopedic Surgery. Neurosurgeons receive board certification from the American Board of Neurological Surgery. Neurosurgeons also operate on the brain and other parts of the nervous system, while orthopedic surgeons may specialize in any one of several musculoskeletal sub-specialties, such as joint replacement, foot and ankle surgery, or sports medicine. Both neurosurgeons and orthopedic surgeons receive extensive training after medical school. Orthopedic surgeons are exposed to spinal surgery during their five-year residency programs, although how much spinal training they receive is dependent on where they complete their residencies. Those who wish to specialize in spinal surgery will seek out institutions where the volume of such procedures is the same as in neurosurgery residencies. 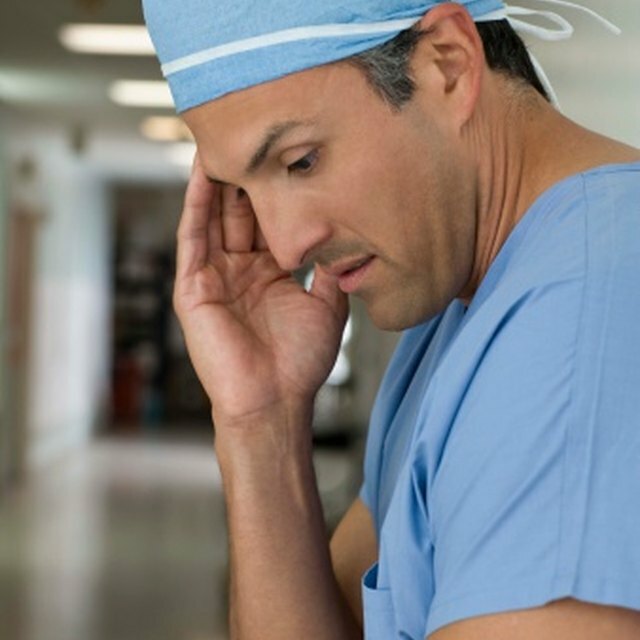 Neurosurgeons are exposed to spinal surgeries as a matter of course during neurosurgery residency programs. Both orthopedic surgeons and neurosurgeons perform post-residency fellowships to further their knowledge and expertise in spinal surgery. Salary.com reports that the median salary for neurosurgeons in the United States is $470,600 per year as of 2011, while orthopedic surgeons earn a median salary of about $409,500. However, according to CejkaSearch quoting the American Medical Group Association’s (AMGA) Physician Compensation Survey — which breaks out spinal surgeon salaries for orthopedic surgeons — the median average salary is $688,500. The AMGA doesn’t break out spinal surgeons from the neurosurgery category, listing the neurosurgeon median salary as $593,000, although spinal neurosurgeons make more money than even brain surgeons. Salary.com reports that the median salary for all neurosurgeons in the Los Angeles area is about $524,000. In New York City, the median salary is approximately $556,000. In Wichita, Kansas, the median is about $454,000. For orthopedic surgeons, the Los Angeles median salary is $456,000. In New York, it’s $484,000, and in Wichita the figure is $395,000. Again, these salaries represent real geographic differences, but don’t represent true spinal surgery specialty salaries, which would be higher. How Much Does a Plastic Surgeon Make an Hour? According to Allied Physicians, orthopedic spinal surgeons earn nearly $400,000 during their first two years of work. They earn about $670,000 by their third year on the job, and Allied Physicians reported a maximum salary of $1,352,000. No breakout was provided specifically for spinal neurosurgeons, but neurological surgeons were listed as making $354,000 during their first year and $541,000 in their second and third years, with a maximum salary of $936,000. By comparison, a maximum salary of $911,000 was reported for radiologists, $820,000 for plastic surgeons, $811,000 for cardiovascular surgeons, and $791,000 for orthopedic surgeons specializing in foot and ankle surgery. The majority of spinal deformities, both adult and pediatric, including scoliosis, kyphosis (a seeming hump-back posture) and lordosis (often called “swayback”) are treated by orthopedic spinal surgeons. Only neurosurgeons, however, are trained during their residencies to perform procedures within the lining of the spinal canal (the dura). Therefore, spinal cord tumors, cysts, tethered spinal cord, spinal cord arteriovenous malformation, Chiari malformation, spina bifida, tumors at the junction of the base of the skull and upper cervical spine, nerve root tumors and other maladies still are treated mainly by neurosurgeons. Spine Universe: Neurosurgeon or Orthopedic Surgeon? Does it Matter?